Some indigenous companies not registered by the Corporate Affairs Commission (CAC) have lifted Nigerian crude oil grades valued at $3.5 billion (about N1.1 trillion) in the last 10 months, an investigation by Daily Trust on Sunday has shown. 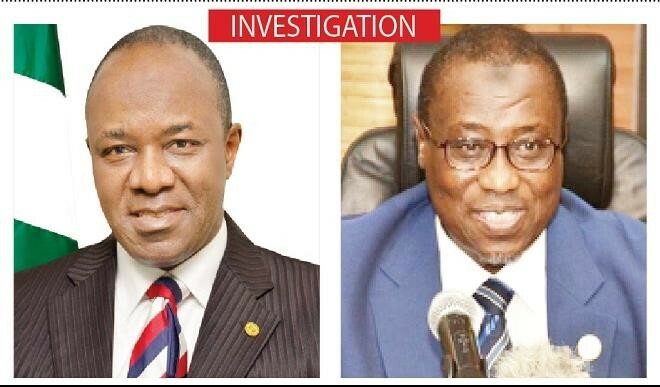 A four-month enquiry into Nigerian and global corporate registries by our reporter showed that the repeated failure by the Nigerian National Petroleum Corporation (NNPC) to provide clear and accurate identity of some companies it awarded multi-million dollar oil lifting contracts this year is helping these companies to escape public scrutiny. This is even as the corporation prepares for another round of award, as it had, in late October, issued a tender seeking companies to engage in the lifting of Nigerian crude oil grades for the 2018/2019 term. The main problem started on January 3, 2017 when the NNPC announced 39 successful winners for its crude lifting contract that would run for 12 months. The announcement was followed by a release of the names of the winners to newsmen and in a post on its official website. The names of the 18 beneficiary Nigerian companies were simply given as Prudent Energy; Setana Energy; Emo oil; Bono; Optima Energy; Shoreline Limited; AMG Petroenergy; A. A. Rano; Cassiva Energy and Arkleen Oil and Gas Limited. Others are North West Petroleum; Brittania-U; Hyde Energy; Eterna Oil and Gas; Masters Energy; MRS Oil and Gas; Sahara Energy and Oando. Part of the mandatory pre-qualification requirement for the Nigerian companies that applied for the contract as requested by the NNPC was evidence of company registration issued by the CAC. Daily Trust on Sunday wrote to the CAC seeking information on the registration statuses of the 18 indigenous companies that won the contract. But the commission replied that it had no evidence of the registration of seven of the 18 companies. It listed AMG Petroenergy Limited, Brittania-U, Cassiva Energy, Hyde Energy, Masters Energy and Bono Energy Nigeria Limited as companies that didn’t exist on its database. “If you have any document to support their registration, you may wish to forward them to us to enable us investigate further,” CAC’s reply dated September 26, 2017 and signed by Terver Ayua-Jor stated. The name of the last company in the CAC response letter was misspelled as Savana Energy instead of Sahara Energy as requested by this newspaper. “That shows that the company is not registered, the name does not exist,” said an Abuja-based lawyer with experience in companies’ registration. “You cannot build something on nothing,” the lawyer, who did not want to be named, said about the legal implication of a company not being registered, adding that Section 30, subsection 1 (a) of the Companies and Allied Matters Act (CAMA) states that the CAC cannot register companies with identical names. A Freedom of Information (FOI) request dated August 9, 2017 to the NNPC asking for the authentic names of the 18 indigenous companies as well as their crude oil entitlements, has not been replied by the corporation as at the time of filing this report.